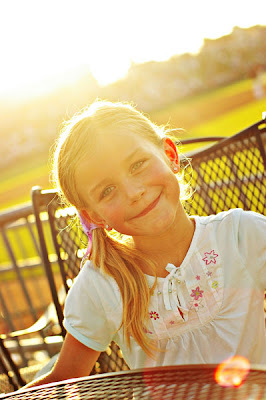 We went to a baseball game tonight and I had fun taking some different ones of the kids! 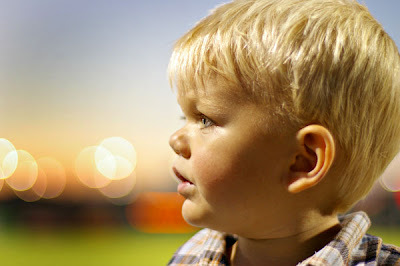 Trying out some sun flare on B...watching C watch the game...and some close-ups of N with the field and lights behind. Enjoy! 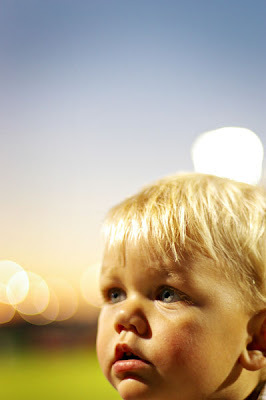 Your kids are cute, welcome to the potd and just have fun. love that second one. 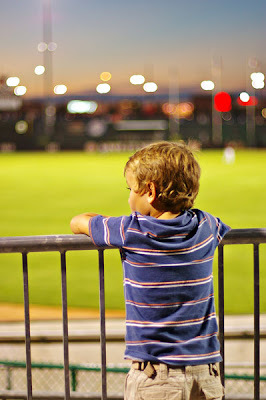 you can really tell that he was into the game. glad you made it over to the POTDer's thread! WOW these are great! Welcome to the POTD! I love his little cheeks in that last one. Welcome, I really like the composition of that second shot. Your header is a bit onesided, but I'm not the one to share how to fix it:( I size my photos to 550x200 I think...somewhere around there and it normally centers it for me. These are GREAT! love the sunflare! that first on is so pretty. love the colors on the second one. GREAT shots! I really LOVE your pictures! They are so clear and the color is great! Your kids are too cute too! My favorite is the sunflare! But they are all great!